Eyes front true believer! You may not remember, but Marvel Pictures also makes these things called comic books. They’re like manga, but don’t need to be translated and tell stories of fantastic powers with human elements. They’ve been doing this since the 40s! Crazy, right? They dabble in ninjas, power suits and magical girls from time to time but there were a few glorious years where they really delivered everything anime fans ever wanted. And it was (mostly) horrible. OK, turning my snark from a ten to a four now. I’ve enjoyed comics for some time. Honestly I was late to that game, really only trying out American comics later in my teens. Oh, I read American comics when I was younger; usually something that tied in with stuff I liked on TV. I have a complete, yellowed and rugged set of Transformers comics my parents would dutifully get for me and read to me nightly. I sure loved me some Transformers. But when it came to my personal tastes through middle and high school, I found myself picking up 90s manga first, then moving into American books. Much like my first steps into anime, my first steps into comics were just terrible. First book I got in a comic box? Gen 13. Oh yeah, X-Men light with attitude. The 90s were just bad… pretty bad for comics anyway. I’ve gotten better since then with The Goon, Hawkeye and Astro City being my personal favorite current titles. Let’s face it, for the longest time Japanese and American comic books were their own thing and never the twain did meet. 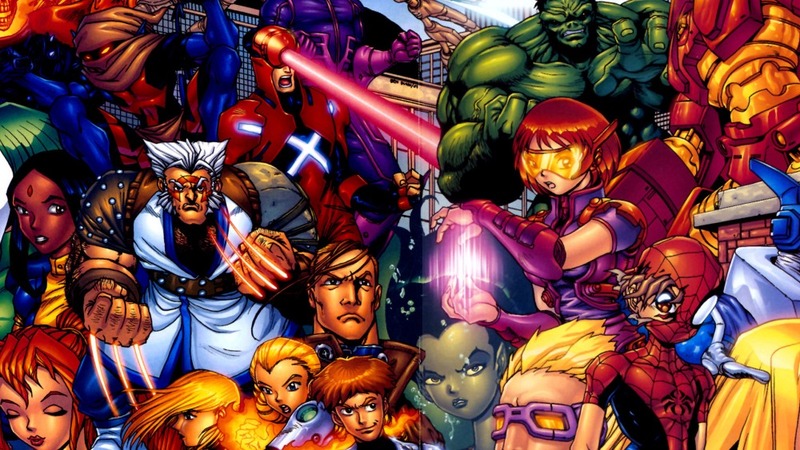 There were some independents in the 90s who caught the first taste of the manga style bug, and a lot of these pioneers were tapped to direct a project which would give the Marvel universe that kind of Manga feel that would bring back those who dropped out during the years and years of alternative covers and making Spider Man a clone. 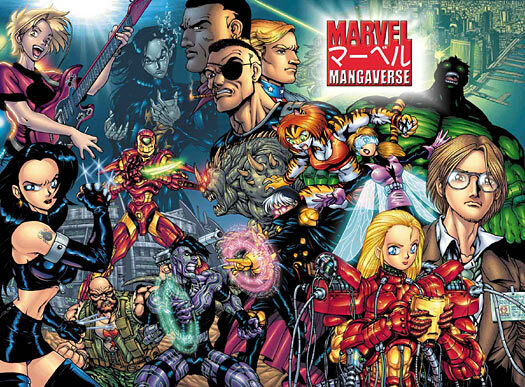 In the year 2000, we saw the launch of the Marvel Mangaverse. Ben Dunn spearheaded a kind of anthology where he would bookend the giant cosmic team up action Marvel is known for and a team of manga-influenced artists would make some standalone stories that could spin off should the collection do well. And they succeeded… kind of. I’ll talk about Ben Dunn in the future, but all you need to know for now is he is the head of Antarctic Press and creator of the parodic work, Ninja High School. Antarctic Press is a pretty hit or miss comic house that is more known for its products that have a manga style and pushing out some tie-ins with whatever styles are popular at the time. But Dunn was the best man for this job, as he was a fair hand at mashing together a lot of things with a short deadline. Ninja High School was his magnum opus that is pretty much loads of anime, action flicks, sentai shows and any other form of media he enjoyed, put into a blender, slapped with a fresh coat of “You can’t sue it’s parody!” then ashcanned into a small empire. So when he got his hands on Marvel properties it was more of the same. Pop culture clashed with both superhero and shonen manga tropes in a kind of weird ritual to stuff everything ever known about all three into the two comics he himself had complete control of. The framework for our story is Tony Stark is presumed dead and his sister Antoinette (“Toni”. Aheheheheh… It gets worse from here) has taken the reigns of Stark Industries to create an energy well, tapping into other dimensions to create cheap unlimited power for the world. So she’s gathered the world’s finest minds including Bruce Banner (Who screwed up the first project that kind of killed her brother), Hank Pym (Kid genius/rock star who can control ants… of course. ), Black Panther (Representative from Wakanda… Because reasons. Oh yeah, so Tigra can get turned on by him when he were-panthers out. ), and Janet Van Dyne (Wasp, who made a power suit that can fly… That’s it.). All of this calls the attention of Namor and the Atlanteans who almost went to war over the last time this project was tried. Well, this time they go to war, and the generator goes on, and it turns Bruce Banner into The Hulk and Godzilla’s unholy love child, ready to stomp all over New York. Meanwhile, these happenings also empower many of the other stories in the anthology. And these stories are off the wall to say the least. Some were pretty good. The Avengers was reimagined by Studio Udon into a simple super powered team vs some bad guys over technology for making a cool super Iron Man in the traditional sentai style. 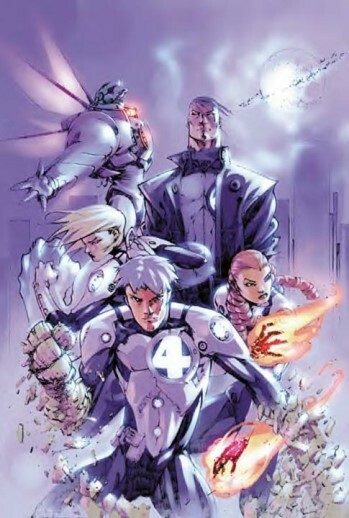 The Fantastic Four, written by Adam Warren, fought anomalies from other dimensions as a kind of NERV style task force. Their powers are augmented to make them skyscraper-sized embodiments of their traditional powers, with a twist on Reed Richards who could stretch his brain to create more pathways in his own mind, making him temporarily more brilliant. Spider Man became the last member of a ninja clan seeking vengeance, and this one worked so well it got a line of its own for a while. Nick Cage doesn’t look so bad now, huh? But when it was bad it was horrid. Ghost Rider was this abomination of terrible photoshop art combined with the worst of Internet humor of the time (which was late 90s/early 00s Internet humor at that). The Punisher was turned into a female school principal who would dress up like a death geisha at night then tie up and spank yakuza members while her sister stumbles into this secret life and takes up a magic sword to assist. The X-Men might have suffered the worst of all mostly due to their longevity. In the context of the first series the narrative kind of meanders into “we’re super-powered and fighting other folks who are super powered” but we are given little to no direction on why, save for some snippets of remembering “old days” from certain characters. The art in it looks like everyone is kind of melting and/or bulbous. Being X-Men it also got a line out of this work that lasted a short time, and it was more of the same and expanded the history into nothing but samurai movie clichés for some reason. You had one job, emulate violent manga, and you could think of NOTHING to rip off? And then it was handed back to Dunn, and he wrapped things up in a good old-fashioned contractually obligated manner. Heroes rise up together to face off against the Atlanteans and the Hulk. They fight, lose, and then through the power of love, Toni Stark and Bruce Banner use summon Thor into the will of Bruce and their souls fly off peacefully. When the series came back it was with Dunn in charge of a six issue miniseries that dealt with a new threat, Galactus. This should have been a straightforward affair; take the heroes that are left and carve out a simple story, but this series felt like Dunn had an axe to grind over the first. One of his first acts is to change the Fantastic Four into a more traditional super power team. Oh, they still look for anomalies and the like, but instead of needing their suits to make their powers manifest, they just gave them the same powers and just pared them down like they would have been in a traditional Marvel comic. Then he has Doctor Doom kill Captain America/President of the United States, Steve Rodgers. These all feel like vengeful elements where other creators made some interesting changes, Dunn wanted to reestablish his status quo quickly and shockingly. The story suffers for it because the A plot of kid finds out he has the galactic powers to save the world and the B plot of vengeance are simple and simple is in Dunn’s wheelhouse. But tacking on the gratuitous murder of established characters because, I’m assuming, people handled the ideas more creatively? Dirty pool old man. Of course they did more manga style stuff from time to time for two reasons, to embrace new art styles… and to increase “circulation”. By the time they rolled out another series in 2006, I was done. I had trouble remembering it existed until someone pointed it out to me while chatting late one evening. It wasn’t headed by Dunn, and I’m sure the series was all the better for it. But my heart was already broken, twice. Many synopses I’ve leafed through about this rare (seriously, the trade paperback goes for over $50 on Amazon) series states that most of the world’s heroes are killed by The Hand. So they learned almost nothing about limits of spectacle. 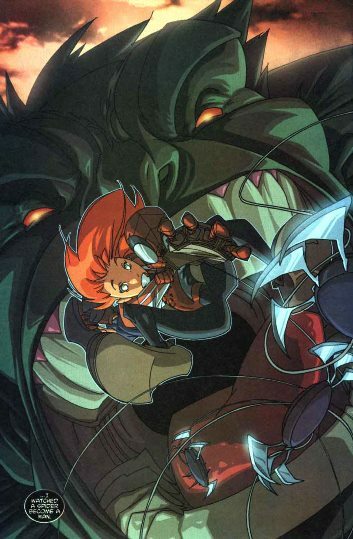 There have been other attempts to give Marvel properties a manga edge, but most are forgettable or just plain incompetent. 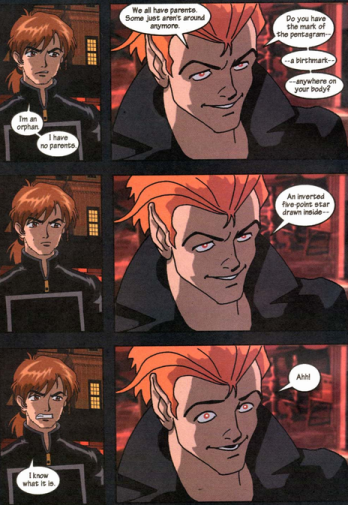 You read X-Men Phoenix: Legacy of Fire and tell me your soul hasn’t lost all hope, I will brand you a liar and cur. DeanTheAdequate has reimagined The West Coast Avengers into a shoujo style manga in which Mockingbird is a talented but clumsy girl sent to a boarding school of elite talented people. As she struggles to find her place, her heart is fought over by a variety of suitors. There is the stoic Hawkeye with a seedy past, captain of the archery team. Wonder Man, strong but lovable captain of the Football team. The Enigmatic Iron Mask, an aloof mystery man who has a shocking secret under his headgear of choice (Spoiler alert, it’s Jim Rhodes all along). She has a friendly rivalry for the boys with her roommate Tigra who has a secret life as an idol with a tiger motif. Marvel I expect a check soon.